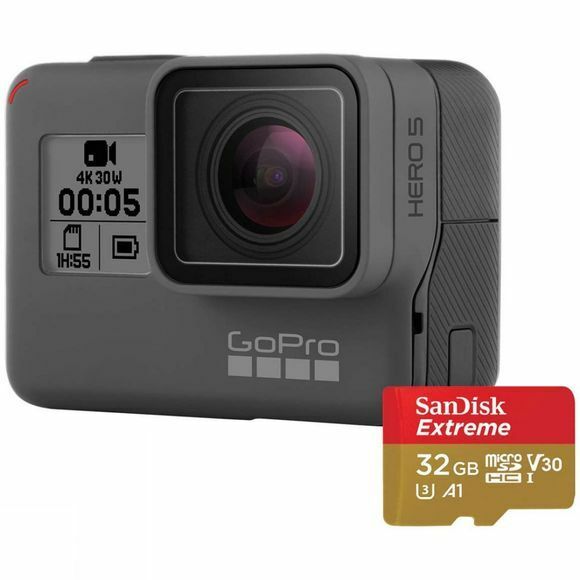 Powerful and easy to use the GoPro Hero5 Black + 32GB MicroSD Card Bundle is an excellent action camera, thanks to its 4K video, voice sound control, one button simplicity, touch display and waterproof design. It offers smooth stabilized video, crystal-clear audio and pro-quality photo capture to ensure you can create your most impressive films. It is rugged and durable by design and waterproof up to 10m without the need for housing, the addition of a SuperSuit (sold separately) allows you to take it down to 60m, making it perfect for most if not all of your underwater needs. A 2-inch touch screen display on the rear of the camera allows you to preview and playback your shots, change settings and trim your footage while simple voice commands allow you to enjoy hands-free control when you need it so you can make the most of it whilst out and about. The Advanced Video Stabilization allows you to capture stunningly smooth footage regardless of whether your camera is handheld or mounted to your favourite gear and the improved low light capture helps you maintain excellent photo and video quality when out at the break of dawn. The GPS location capture allows you to take a note of exactly where your videos and photos were taken so you can revisit time and time again, and the linear view allows you to capture a straight horizon with a more natural perspective. The ability to capture RAW photos provides you with endless flexibility when using advanced photo editing software while the WDR photo mode captures detail in shadows and highlights in the scene. The connectivity on the Hero5 Black includes Bluetooth and WiFi so you can stay connected with apps and accessories. 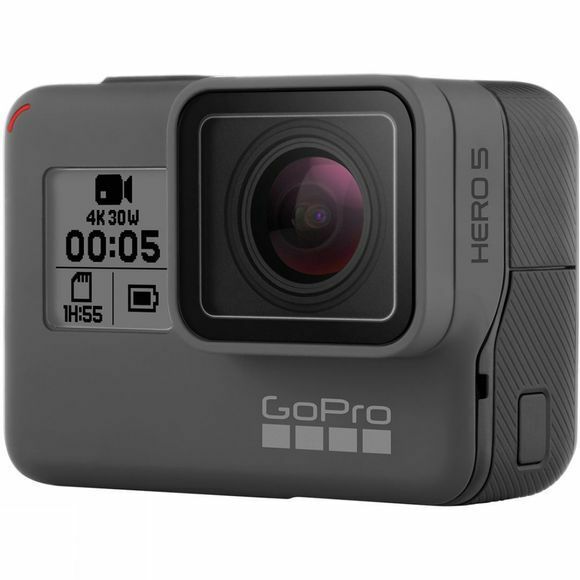 A GoPro Plus subscription enables automatic uploading to the Cloud for easy editing across your devices.